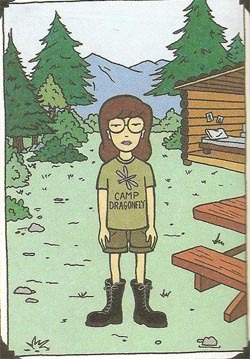 Camp Dragonfly is a summer camp Daria Morgendorffer was once sent to, as seen in "The Daria Diaries". She aggressively didn't get involved with anything. This page was last edited on 26 April 2018, at 20:19.